I am a PhD student in my final year supervised by Suzanne Frey-Kupper and Alison Cooley. In 2011, I received my BA in History with a minor in Classics at the University of Tennessee at Chattanooga. In 2013, I received my M.Litt. in Ancient History at the University of St. Andrews. In 2017, I completed a year of research at "Sapienza" Università di Roma and taught classes on the sacred landscape of Roman Sicily and Cicero’s In Verrem in 2018. 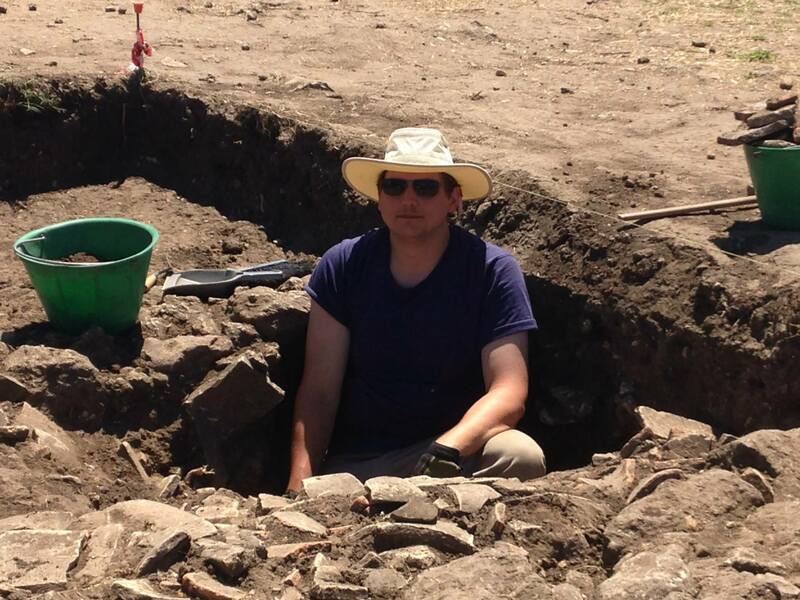 In addition to my recent year at Rome, I have been privileged to participate in excavations at the Sanctuary of the Curiae Veteres on the northeastern slopes of the Palatine Hill with "Sapienza" Università di Roma at the Sanctuary of the Curia Veteres in 2014, at Grotta d’Acqua in 2014 with Zamboni and the Soprintendenza per i Beni Culturali e Ambientali di Caltanissetta, and at Morgantina with the American Excavations in 2015. My research aims to better understand the province of Sicily’s transition from the Republican to early Imperial period through the sacred landscape by investigating the transformation and continuity of “public” religion through the temples and sanctuaries. It also seeks to better understand the province’s political and social changes and how these were both impacted by and influenced the sacred landscape. This will be done primarily through analysis of the role of Classical and Hellenistic temples during the Roman periods examining what remained consistent, as well as how and why changes occurred. Although, Roman temples will be studied, the primary focus will be on the older Greek temples due to the well-known paucity of Roman sacred sites which this project also helps to better understand. Postgraduate Webmaster for the Department of Classics and Ancient History in the academic year 2017/2018 and 2018/2019. SSLC Chair for the Department of Classics and Ancient History in the academic year 2018/2019. SSLC Representative for the Department of Classics and Ancient History in the academic year 2017/2018. Sessional Teacher for the Department of Classics and Ancient History in the academic year 2017/2018. The Transformation of the Sacred Landscape of Neapolis (Syracuse) during the Augustan Colonization of 21 BC" October 31, 2018. University of Warwick. “La trasformazione dello spazio sacro in Sicilia tra Repubblica e prima epoca imperiale: Morgantina”. May 4, 2017. Università degli Studi di Padova. “Chthonic Sanctuaries in Roman Sicily”. June 29, 2016. University of Warwick. “Evidence of the Imperial cult in Sicily”. May 25, 2016. University of Warwick. Warwick Classics Postgraduate Colloquium. May 23, 2018. University of Warwick. Roman Sicily: Cities and Territories between Monumentalization and Economy, Crisis and Development. November 2017. Georg-August-Universität Göttingen. Cityscapes of Hellenistic Sicily: A Reassessment. June 2017. Freie Universität Berlin. Warwick Classics Postgraduate Colloquium. May 25, 2016. University of Warwick. Annual Meeting for Postgrads in Ancient Literature. June 2013. University of St. Andrews.